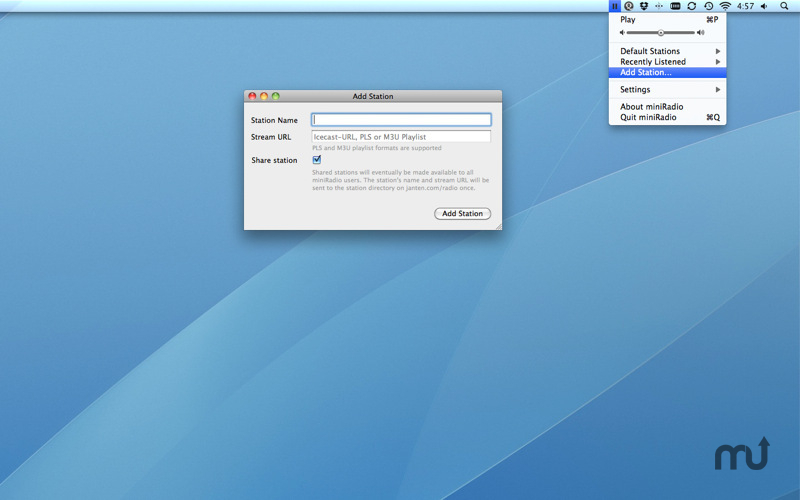 Listen to hundreds of radio streams from your menu bar. Is there a better alternative to miniRadio? Is miniRadio really the best app in Audio category? Will miniRadio work good on macOS 10.13.4? miniRadio lets you listen to hundreds of radio streams right from your menubar. Choose from the ever-growing list of hundreds of built-in stations or add your own favorite stations. Stations are now updated with higher reliability. Empty stations lists should be gone now. miniRadio needs a rating. Be the first to rate this app and get the discussion started!